At Pioneer Towing, our mission is to provide you with quick response emergency towing & roadside assistance all throughout the Southern Ontario region 24/7. Our towing and roadside assistance services in Kitchener are among the best in the business. We a fast arrival time, day and night. 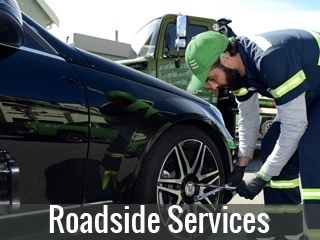 We have an outstanding team of roadside specialists that have years of experience in the field. Safety always comes first. 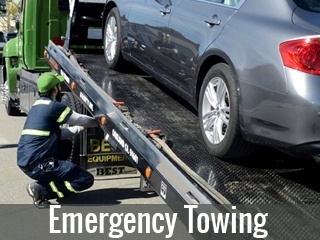 The service operators can be reached at all hours for any emergency towing or repairs. Customer satisfaction guaranteed. Whether you require a simple towing across town or a more extensive haul, you can count on our towing and roadside assistance services in Kitchener to get the job done right. It’s very important to secure a vehicle during a towing procedure, to ensure that the vehicle wheels never get dragged along by the harsh surfaces. Our flatbeds can support massive amounts of weight and give your vehicle that soft cushion during a long distance towing trip. Our drivers are well versed in all aspects of the trade as well. 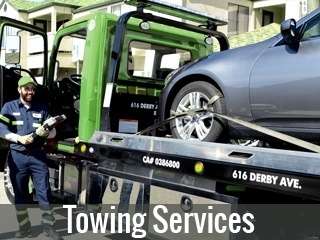 You can expect the best quality services from Pioneer Towing. You won’t have to stand around wondering when a towing operator will arrive anymore. Our priority is to ensure 24/7 round the clock punctual emergency roadside coverage. There is nothing worse than having that element of surprise during a roadside breakdown. Our friendly staff will jot down your precise area location details and send the nearest available roadside technician to the scene. 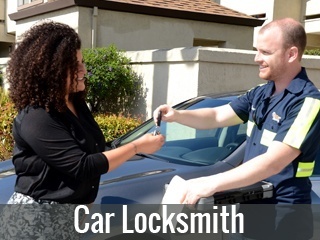 We also work with an amazing team of auto locksmith specialists. We can help unlock a jammed vehicle door or replace any damaged ignition key on the spot. You’ll find our towing and roadside assistance services in Kitchener to be simple and convenient. We’ve built our prestigious reputation through years of hard work and effort. We require each team member to pursue continuing education in order to hone and improve their knowledge and skills. Technology is constantly evolving and it’s our job as professionally trained towing experts to remain up-to-date as the times change. Our trucks are well equipped with the necessary tools to get your vehicle out of danger. We even offer off road winching as part of our towing and roadside assistance services in Kitchener. Ideal if your vehicle is trapped in a ditch or stuck in the mud. We are very fortunate to have such a wonderful group of professionals by our side. You can phone us up anytime for emergency roadside repairs, such as a dead car battery replacement or a quick jump start. Make sure you follow us on Twitter and visit our fan page on Facebook for any upcoming company promotions and discounts. 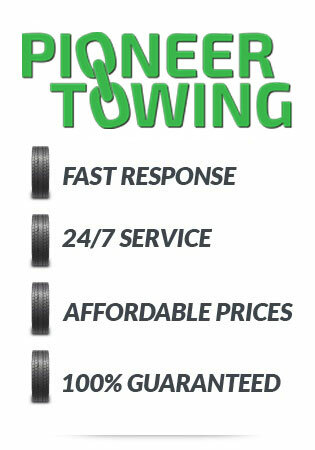 Call the experts at Pioneer Towing Kitchener today to learn more.